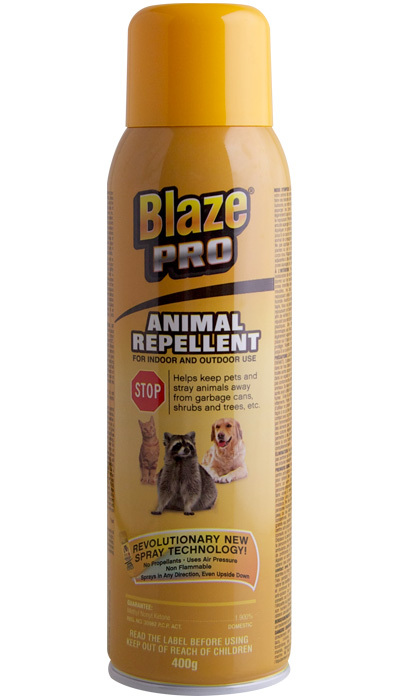 Blaze Pro® Animal Repellent helps keep pets and stray animals away from garbage cans, shrubs and trees. 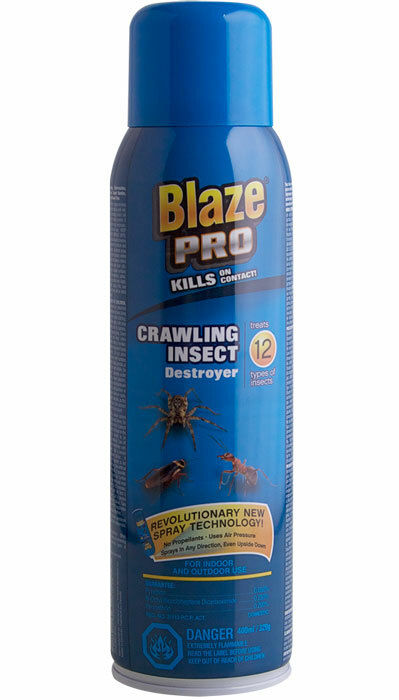 Blaze Pro® Animal Repellent also features a revolutionary new spray technology that uses air pressure and sprays in any direction, even upside down. 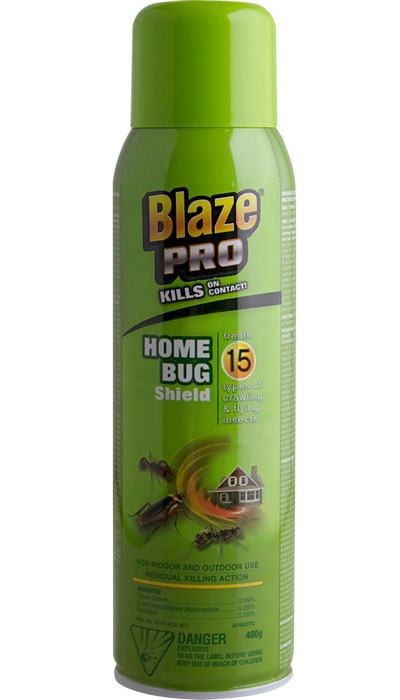 Directions For Use: OUTDOORS: to prevent your pet, or stray animals from soiling flower beds, areas of lawns, trees, shrubbery or evergreens, spray the edges of flower beds, trunks of trees, the bases of shrubbery and evergreens, patches of lawns, etc. lightly every day or every other day with the repellent. First, remove any droppings, then spray the spot with this masking odour. Re-apply as often as necessary until undesirable habits of your pet or stray animals are changed. 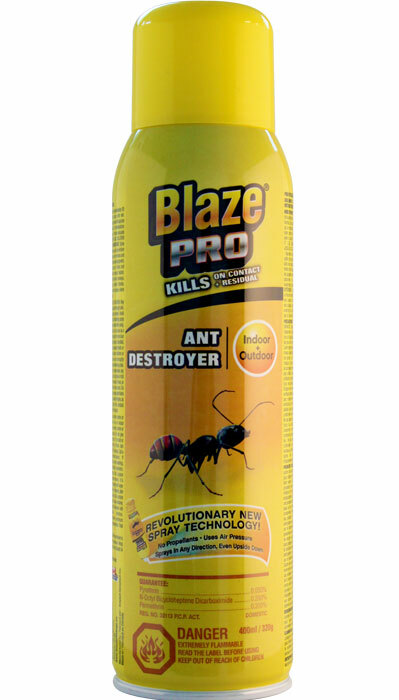 Do not apply directly to foliage of shrubs or to ornamental, soft bodied plants. Apply only in areas adjacent to buildings. 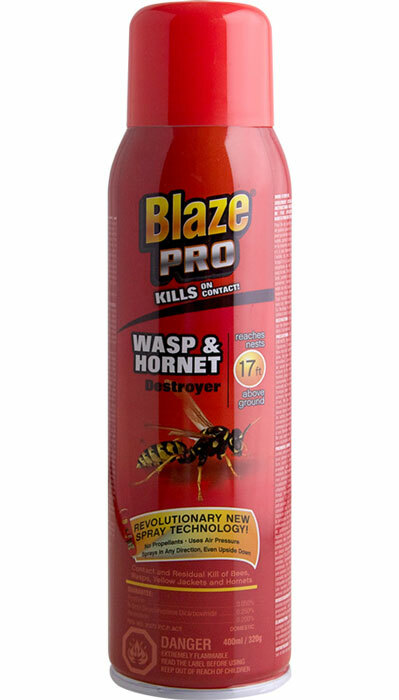 Do not apply in wildlife habitat areas (e.g., parklands, forested lands).INDOORS: to suppress undesirable habits, such as sleeping on furniture, rugs and other areas in your home, spray the article of furniture, rug, etc. lightly with the repellent so that the area or object is slightly moistened. Before spraying extensive areas of rugs, fabrics or plastics, test the effect of the repellent by first treating a small inconspicuous area. The repellent may stain or soften some fabrics or plastics. An alternate method to avoid possible damage is to spray a piece of cloth lightly and place it on the object or area in your home to be protected. Repeat daily, or as necessary, until undesirable habit is changed.